It's that time again! Time for the holidays, time for people to start humming carols under their breath, time for mass consumerism, time for crazy people rushing the crowded streets and buying up a storm. I, personally, prefer things to be a little simpler during the holidays. I don't buy many presents, but I do like to promote items that [I think] are really worth your time and money. That is why I have created a list of "my picks" for this holiday season. Whether you are shopping for yourself, others, or just like to see what's out there, this list is all about making local, vegan, and ecologically-friendly choices this year. Enjoy! Queen Bee: I already own a wallet AND a purse from this Portland-based company, but I can't help it; I want more! Made with recycled wool, this gorgeous purse can carry more than just a wallet and a set of keys - it's made to carry your whole life, if you want it to. I love the style and simple, yet charming, design of this purse. The ruffle accent is perfect. Back to Eden: You didn't think I'd forget to put this favorite stop down on my list, did you? This boutique bakery encompasses everything I love about Portland: hip, friendly, vegan, gluten-free, inventive, and local. A gift certificate from here would make anyone's day. Blowfish Footwear : I fell in love with this brand only recently, thanks to Janessa at Epicurious Vegan. She remarked on Twitter that she had just purchased some shoes from the company and that, on Cyber Monday, the deals were even greater, so I had to take a look. Little did I know I would end up buying some of the cutest shoes ever! 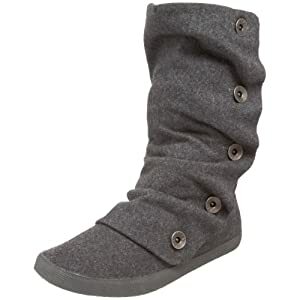 My next purchase will definitely be boots from them, because, well, they are cute. And I need some cute boots in my life. And that's that. Alima Cosmetics: I love love love this brand of makeup. Everything I've ever bought (and I've purchased a LOT!) from this woman-owned, locally-based company has been beautiful, clean-feeling, and cost-efficient. This is the only company I trust to give me cosmetics made from pure, whole, and natural ingredients. Cafe Flora: This restaurant is fantastic. The food is absolutely delicious, and local, as well (at least, for Seattle-ites). Each dish is prepared with such precision and creativity that it's actually a privilege to consume. Because I don't live in Seattle (and I also don't have hundreds of dollars to spend eating out each month), I have to be content with the cookbook that features the foods available at the restaurant. 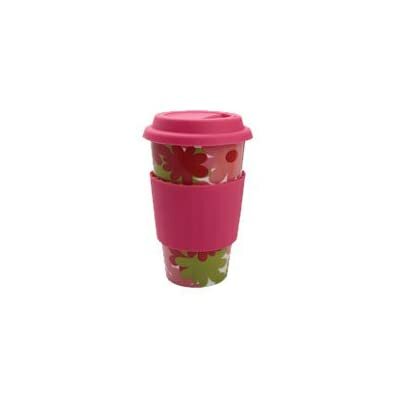 Porcelain Coffee Tumbler: Even though these are super trendy right now, I, too, want to jump on the bandwagon and grab one of these BPA-free to-go coffee mugs for myself. However, they are very difficult to find! I found the perfect one in a Seattle boutique when I visited at the beginning of November, but have yet to find a store in Portland that carries them. I can find versions of them online, but even this is not quite the design I want. Well, I'll just keep searching, even if I have to return to Seattle to purchase one. 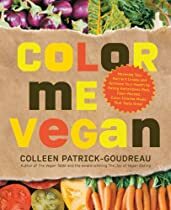 Color Me Vegan : Created by the author of the outstanding Vegan Table cookbook, this recently-published book is absolutely gorgeous. Foods and meals are set up by color (hence, the title) and the corresponding photographs add graphics to fantastic recipes. Recipes are labeled with tags notifying discerning eaters (like me) which dishes are, for example, wheat-free, soy-free, etc. This is really a must-have for any vegan kitchen. Ooh... I love that purse!! I'm getting ready to felt a sweater and upcycle it into a dress, slippers, and purse for Rilla. I'm really excited but thinking my purse will not be nearly as cute as that one! They've got those porcelain coffee mugs at Whole Foods. I got one there for Mandy for her birthday. Great list! I want Color Me Vegan too! If Santa doesn't bring it I'll be forced to buy it for myself. I love the Back to Eden mention too. Yum!